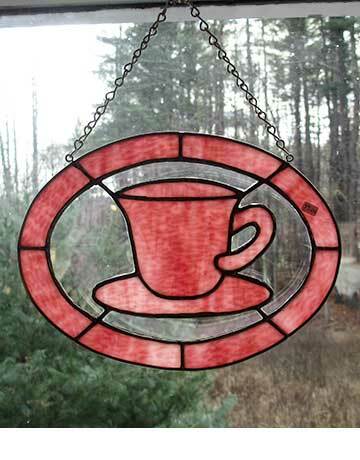 Each Stained Glass Teapot is individually hand made by Josh in his workshop in New Jersey. Josh uses only lead-free and silver solder and buys only glass made in the Tiffany Fashion with inconsistent color swirls, patterns, mottles and ridges in the glass. Josh employs a Colorist who had selects the finest glass looking for particular pattern flows and color combinations. 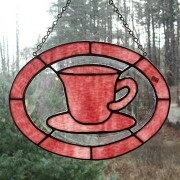 The colorist also oversees the color coordination in the layout of each teapot medallion. 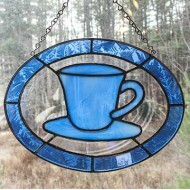 These teapot medallions are made in the tradition of the glass masters of the twentieth century. Because Josh uses the finest glass and employs a colorist to aide the process, each of his teapots is a unique work of art.